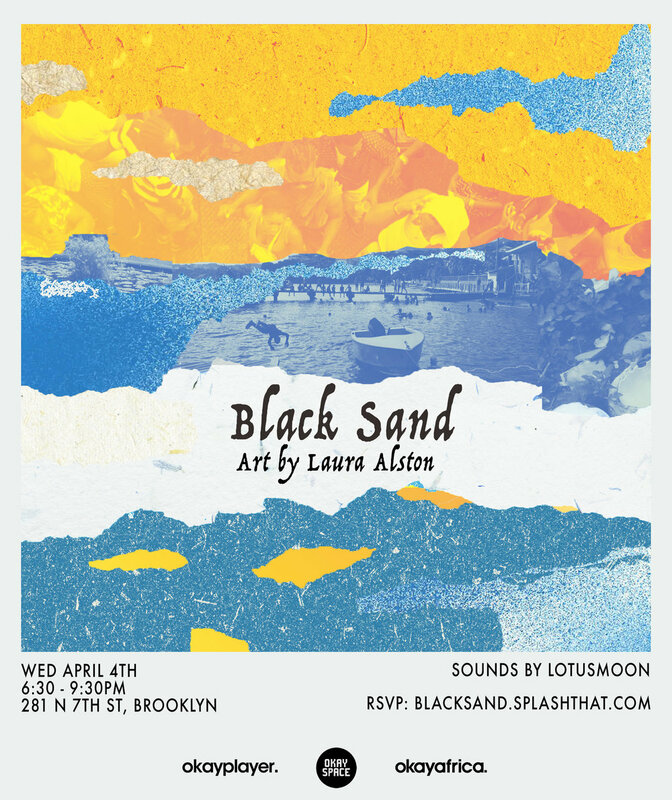 Join OkayPlayer and OkayAfrica for a night of Caribbean vibes on April 4th, 6:30PM - 9:30PM for the opening of Black Sand, the debut solo-exhibit of Laura Alston. Black Sand explores visual narratives and landscapes within Barbados, St.Lucia, St.Vincent & Grenada documented through the travels of artist, Laura Alston. Through design, photography and collage, Laura converges her experiences on the four Caribbean islands to relate to her family’s heritage and journey to the US. The exhibit will be on display from 6:30PM to 9:30PM on April 4th and April 5th-9th 12-6pm.